What are our consumer rights when we shop in the sales? Here is a look at what we can expect when we take advantage of a bargain. When I buy something at a reduced price, are my consumer rights similarly diminished? When you buy an item in a sale, you have exactly the same rights and protections as if you had purchased it at full price. You have entered into a contract with the retailer and your rights are set out in the Sale of Goods and Supply of Services Act of 1980, which states that goods purchased must be of merchantable quality, fit for their intended purpose and as described. If the goods do not meet these criteria – for example, because they are faulty – then consumers are entitled to a repair, replacement or refund, whether the goods were bought at full price or at a discounted price. You will need to provide proof of purchase, which may be a shop receipt, a credit or debit card statement or other documentation that proves the item was bought in that specific shop or chain. Your contract is with the retailer and it is the retailer, not the manufacturer, that is responsible to you and must sort out your complaint. Make sure to bring a fault to the attention of the retailer as soon as possible as a delay can indicate that you have accepted faulty goods and may affect the redress to which you are entitled. What effect do shop signs that say “No refunds,” “No Exchanges” or “Credit Notes Only” have on my consumer rights? If a good is faulty, such signs have no impact whatever on your consumer rights. You are entitled to a repair, replacement or refund if a good is not of merchantable quality, fit for its intended purpose or as described, regardless of what the shop’s signage indicates. No signage can take away your statutory rights. Can I get a refund if I change my mind about a purchase made in a sale? 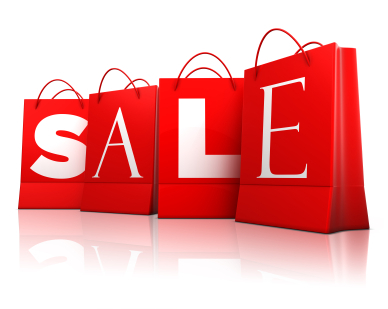 Sales can often lead to impulse buying as consumers are tempted by major discounts or are panicked into making a purchase by the “buy it now or lose it forever” nature of the sales atmosphere. It is best to avoid giving into such impulses as if a case of buyer’s remorse sets in and you decide you do not need – or even like – the item, you may not be able to bring it back and claim a refund. If you change your mind about a purchase, you have no rights under consumer law and the retailer has no obligation to take back an item that is not faulty. Many retailers offer exchanges or refunds once you have a receipt and they are returned within a certain amount of time and in a saleable condition with all the original labels, tags and packaging. However, this is shop policy and represents a gesture of goodwill – it is not a legal requirement. Moreover, the shop’s policy may be to issue such refunds in the form of a credit note or a gift voucher for the shop. As a result, make sure that the item is something you really want before you hand over your money. In addition, shops are within their rights to change their returns policy during sales periods, so always check the policy with them before you make a purchase. If I buy an item at full price but when I go to the shop to return it, the same item is now at a reduced price in the sales, can I obtain a refund for the full purchase price? The answer to this question depends on the reason for the return of the item. If the item you have bought turns out to be faulty or not as described, the retailer is legally required under consumer law to provide a repair, replacement or refund. In the case of a refund for a faulty item bought at full price, the refund must be for the total purchase price or a replacement of equal value, regardless of the fact that the item may now be on sale at a reduced price. However, if you are returning the item merely because you have changed your mind about wanting it, the retailer is not legally required to reimburse you and any refund will be at the discretion of the retailer and may only be for the reduced sale price. Are there circumstances in which I would not be entitled to a refund or replacement for a faulty item bought at a reduced price? If a fault with a product was brought to your attention by the retailer and you agreed to buy the item anyway, you cannot later return the item on the basis that that fault is present. For example, if you buy a pair of jeans and are told that the pocket is ripped, you will have no right of return on the grounds of the torn pocket. Similarly, if an item is marked “imperfect,” “shop soiled,” “seconds” or “sold as seen,” you will not be able to claim for faults. However, the item should still be able to do what it is expected to do – for example, a toaster should be able to toast bread even if there are scratches on the device. If a further fault occurs with a product that was not pointed out to you, your rights of return will apply. Notably, there is an underlying requirement that all products sold must be safe. Is the retailer obliged to provide a fitting room during sales or normal selling periods? There is no legal requirement that a retailer has to provide facilities for trying on clothes and retailers may decide to close their fitting rooms during busy sales periods. It is useful to be able to try on clothes as it allows you to ascertain whether there are any defects with the item, such as tears or missing buttons, as well as checking size and fit. As a result, you should try to insist, where possible, that a fitting room is provided.